If you love monograms half as much as I do, you will become OBSESSED with Marley Lilly! They monogram everything, from clothing, to backpacks, necklaces, and license plates! 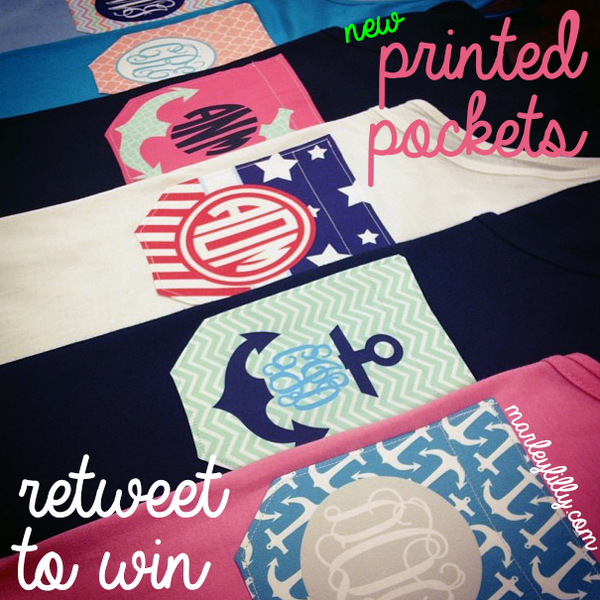 Tomorrow, they are picking one winner to win one of their precious Printed Pocket Tanks! To enter to win, all you have to do is go here and retweet this tweet! If you’re half as smitten as me, you’re crossing your fingers AND toes! Good luck!